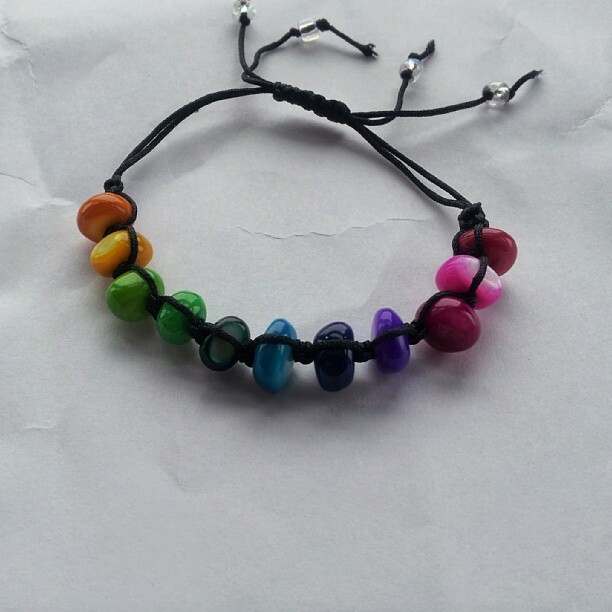 child size shamballa style bracelet in every color. 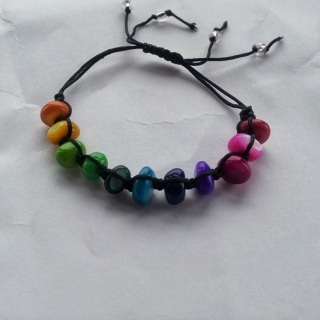 This bracelet is made from colored mother of pearl beads and acrylic cord. 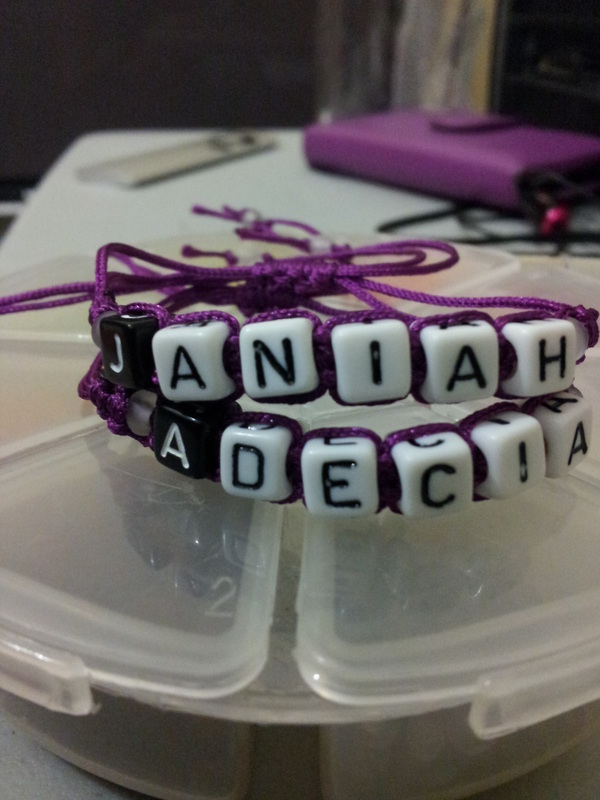 It is not big enough to fit an adult but if you would like this design in a bigger size, do contact me ! 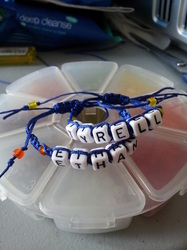 child size macramé name bracelet. 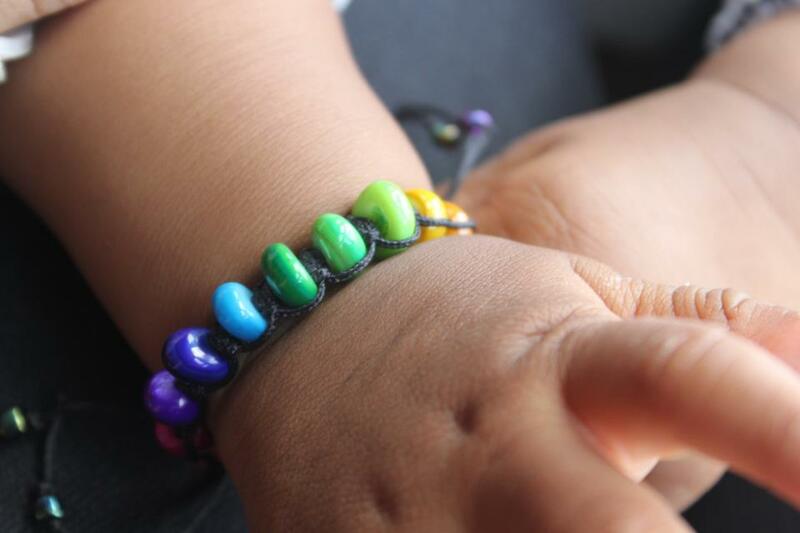 The perfect gift for a baby or a child. 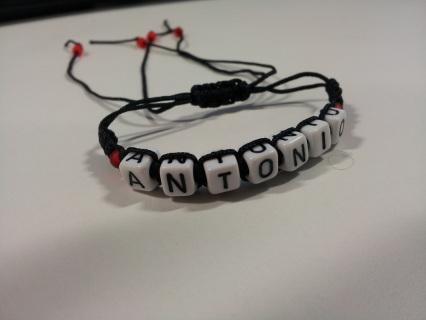 These are made with acrylic cord and plastic letter beads to survive the world of the younger ones. 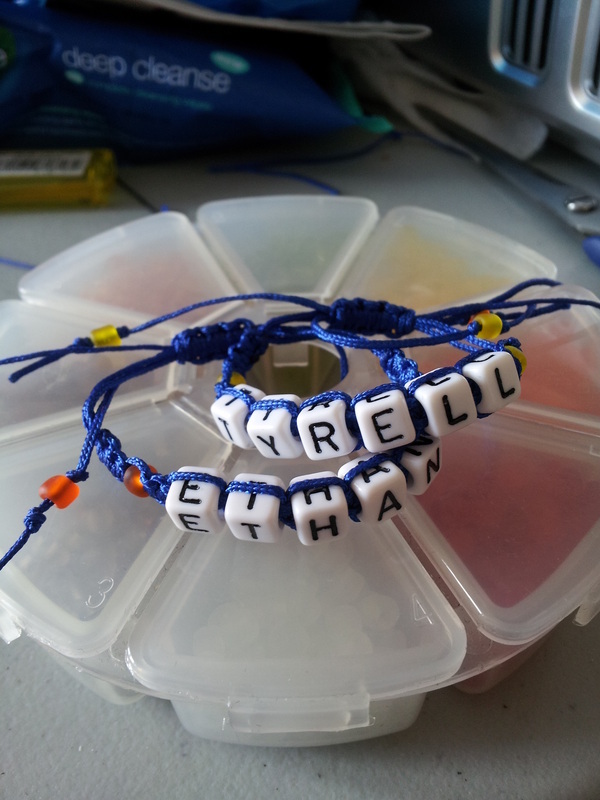 Washable and extremely durable, they tie with a drawstring type clasp. Please contact me with the name and the colors you want for your bracelet !